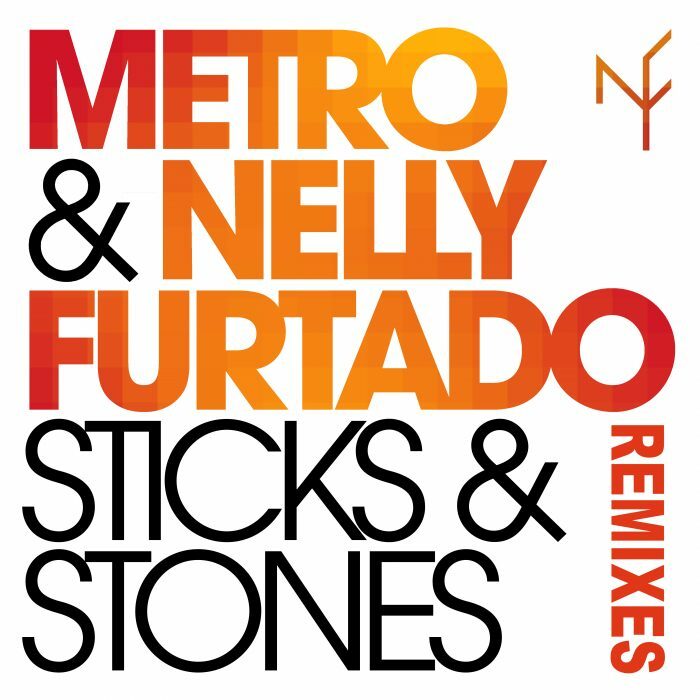 Radikal Records is proud to present the official remix package for “Sticks & Stones,” the collaborative hit single from Grammy Award winning singer-songwriter, Nelly Furtado and UK based production team, Metro. This exclusive new release features mixes from StoneBridge & Damien Hall, Bimbo Jones, and Manuel Riva & Cristian Poow. On May 25th 2018, Nelly Furtado and Metro released a newly remixed version of Furtado’s song “Sticks & Stones” from her 2017 album The Ride. Metro’s brand new version of “Sticks & Stones” came about when Nelly flew to London to collaborate on material for her last album. She loved their fresh new take on “Sticks & Stones” and recorded her vocal on it right then and there. While Metro’s new take on the song contrasts that of the production on The Ride— a fun, lighthearted indie pop romp tangled with crunchy synths— Metro’s production re-invigorates the song with a driving house beat and electronic synths that take it back to the 90’s dance era. This has been quite the week for Metro & Nelly Furtado. Just this Tuesday we announced that “Sticks and Stones” had reached the #11 spot on Billboard’s Dance Club Chart after entering that chart a little over one month ago. Now with the single just about to break into the Top 10, Radikal presents a selection of new remixes. From StoneBridge & Damien Hall amplifying the pop sensibilities to 11 with their Epic Mix, Bimbo Jones giving us the bright Ibiza Club Mix to perfectly close out the summer, and Manuel Riva & Cristian Poow chilling things out with a hypnotic deep cut, all of the Billboard charting producers present a unique spin on the single. Tonekind - Hey Mr. DeeJay!